Washington, Oct 27 (IANS) A US Army team that was ambushed in Niger was gathering intelligence on a terrorist leader operating in the area before it was attacked, military officials told CNN. The officials told CNN on Thursday said the unit was not under orders to conduct a kill or capture mission on the leader. Such missions are typically reserved for other elite special operations forces teams. US authorities have codenamed the target, a regional terror planner and coordinator, “Naylor Road”, according to a US senior military official. The high-value target is also believed to have been involved in attacks in Burkina Faso, the official added. The team’s primary mission was to train, advise, and assist a larger Nigerien force of 30 soldiers, CNN reported. 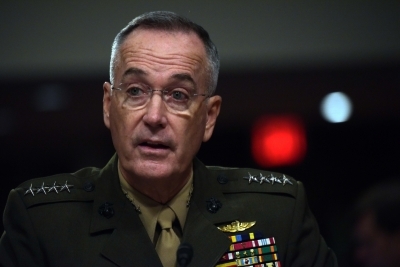 The new details comes a day after Joint Chiefs of Staff Chairman Joseph Dunford told reporters that the troops were on their way back to their operating base when they were ambushed by 50 Islamic State (IS) fighters. The IS-affiliated attackers used mortars, rocket-propelled grenades, technical vehicles and heavy machine guns. “My judgment would be that that unit thought they could handle the situation without additional support,” Dunford said.